This is a clickable image map of townships and boroughs in Lycoming County Pennsylvania. A text list of the township maps is shown below. The township images are cropped from a 1/50,000 USGS Geological Survey Map of Lycoming County dated 1993; based on 1/24,000 maps dated 1946 through 1970. The adjacent counties shown on the image map are links to their USGS maps. 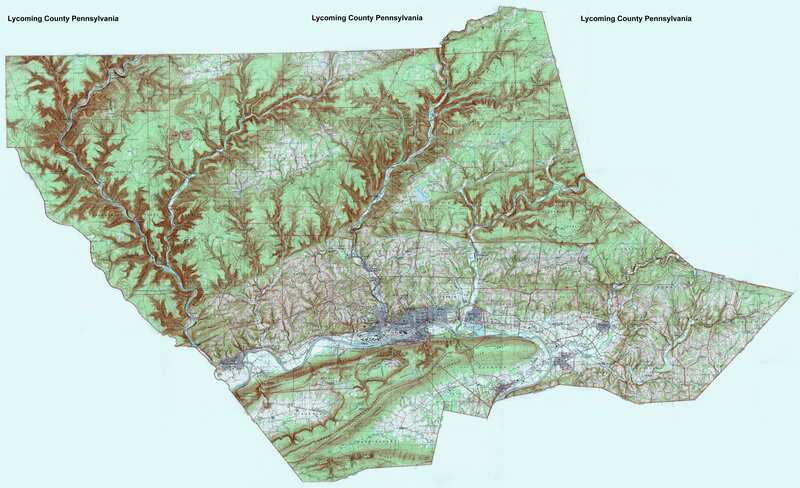 The Lycoming County Map is presented in its entirety; it is about 7MB in size.